It’s taken me months to find the solution to this irritating problem. 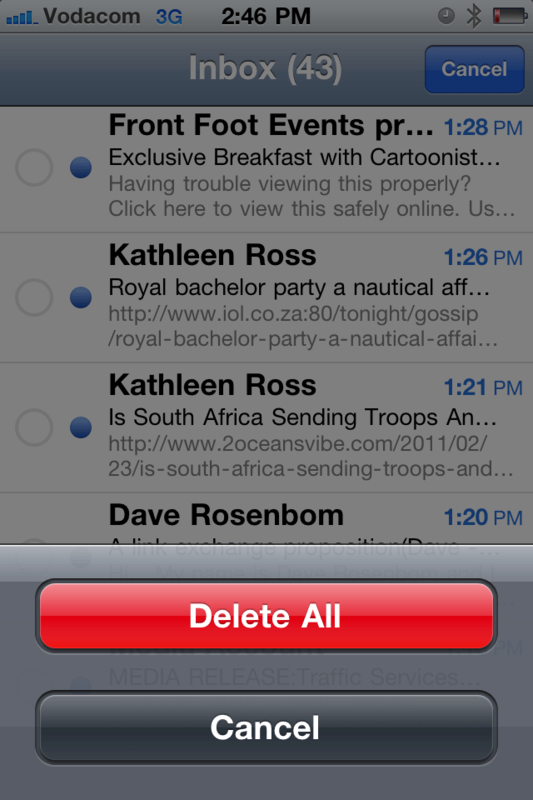 Until now, I’ve had to delete mail by clicking on ‘edit’, and then selecting each individual mail. This is great when you have four messages but painful when you have 100. Or 400, as was the case today. So I searched and searched, and finally found the answer. This has made the phone 10x more enjoyable to use. Now you will be shown a prompt to either “Delete All” or Cancel. That’s it. It takes one second and you’re done. Hallelujah!